Nicholas Moody Kitchens is a family-run business that is client driven and service focused. We are based in Coachford, Co. Cork, just 25 minutes from Cork City. We are designers, producers and importers of luxury, bespoke kitchens tailored to your individual taste and requirement. Where do you start? We strongly advise and welcome a visit to our showroom in Coachford. Here we can discuss with you the next step. We can help you focus and visualize your finished kitchen and house. We have an in-house interior designer or alternatively we can work with your own professional to always deliver your vision. Floors, tiles, fabric, countertops and colour schemes are just some of the extras at Nicholas Moody Kitchens. Nicholas Moody Kitchens is first and foremost a luxury, bespoke kitchen company. Nick Moody and Josephine Kennedy are the kitchen designers and Elaine Looney is the in-house interior designer. We work in AutoCAD for all our projects, a design programme favoured by architects and anyone involved in the building industry. With all approved designs you will receive a full set of dimensioned AutoCAD drawings containing plumbing and electrical details to share with anyone involved in your project. Visit our showroom and get excited and enthused about your next step. 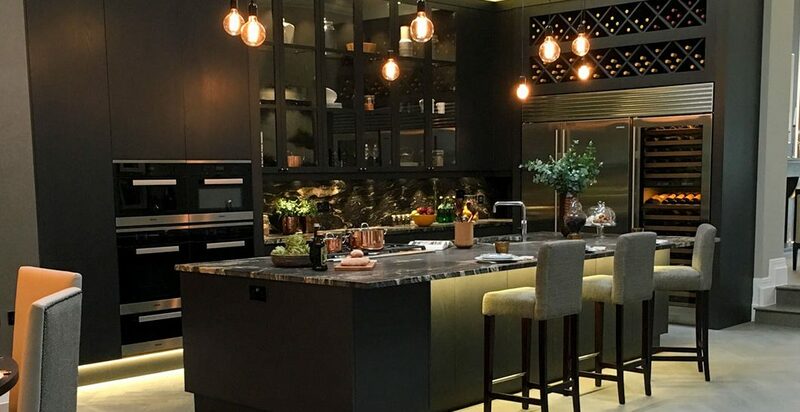 See our range of luxury kitchens, flooring, appliances, paint colours and much more. We welcome your visit and look forward to meeting you.